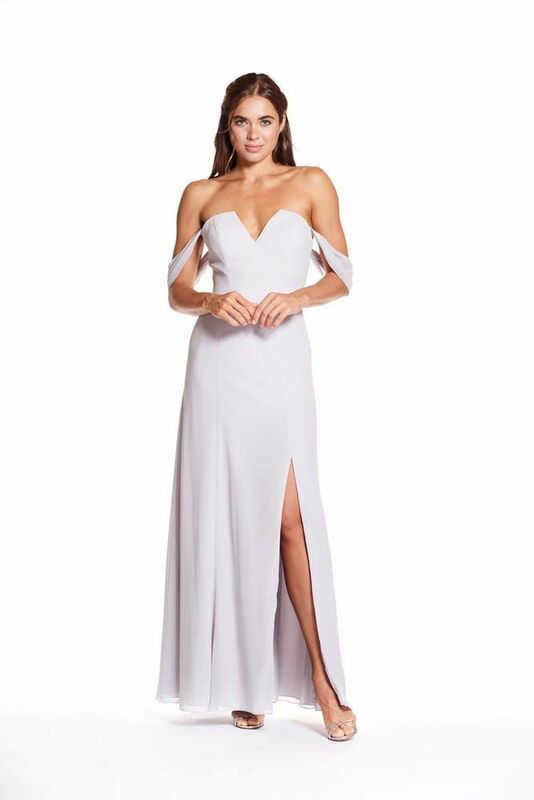 Bary Jay bridesmaid dress style 1916 - Floor length gown available in either Iridescent Chiffon material or Bella Chiffon. Also available in short length. Please E-mail for other options.